If you read my previous post about converting Subversion repositories to git, you’ll know that to do a proper Subversion-to-Git transformation on a batch of repositories is going to take some time (what with all that command line typing). I had 142 legacy project Subversion repositories lying around I wanted converted to Git and, since I’m lazy, I pulled on my bash boots and wrote me a script to do the work! With the git-svn-migrate scripts I wrote, you can batch convert all of your Subversion repositories in just 3 steps. 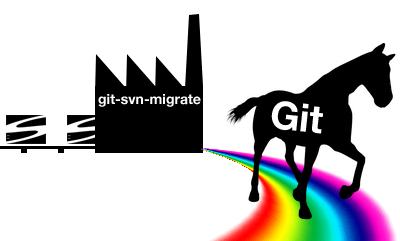 And I’ve GPLed them and put them on GitHub if you’d like to collaborate and improve them; see the git-svn-migrate project page. 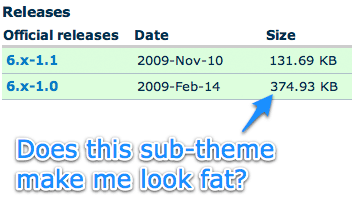 Back in the day, all the CSS of the sites I built were in a single file: style.css. Things were easy. I built the site; I organized my styles; I knew where everything was. Of course, then I discovered the power of leveraging an open-source community. And now there are innumerable developers writing the CSS for my websites. To keep things manageable, each module of functionality has its own stylesheet. Unfortunately, once you get in the habit of having multiple stylesheets for your website, you will eventually run into a weird problem with Internet Explorer: some of your styles won’t apply. At all. And if you have sufficient Google-fu, you’ll eventually discover this is a little known bug: Internet Explorer will only load the first 31 stylesheets and will ignore the rest. And this isn’t even limited to our usual suspect, IE6. All versions of IE have this limitation. Read more about Stylesheets Not Loading? Zen Classic is dead! Long live Zen! Read more about Zen Classic is dead! Long live Zen!